This is made in a cute glass votive holder. The clear gel is loaded with our proprietary blend Delightful Bliss. This has been tested for years and it is safe for burning your candle worry free. This glass is already gorgeous and fits into your décor. 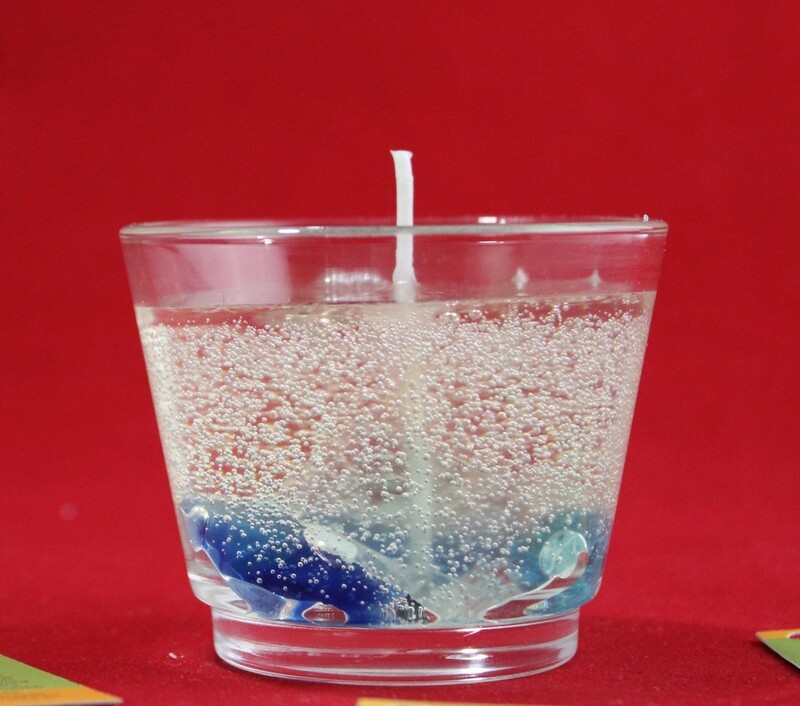 The ornaments embedded in this candle are glass marbles.This candle is made from premium candle gel. This gel is a blend of premium ingredients, this allows for a great cold and hot scent throw. This allows the candle to function as an air freshener also. The bubbles are a part of the design; they cast alluring patterns on your walls and surfaces when lit. The amount of bubbles in the candles varies with every design. All our candles and scented products are handmade in Brooklyn NY USA.